The North celebrates the Spring of 2018 with many unique festivals such as the Hai Ba Trung Festival, the beautiful pink peach-blossoms that line the streets, and a slight breeze that is both warming and reminiscent of home. The South, on the other hand, greets Tet with the charming yellow apricot-blossoms and joy in the air, with features from Saigon Tet. But what about the Central region, especially the three most visited cities: Danang, Hoi An, and Hue? Read on to find out! Among the three regions of Vietnam, the Central folks have the most difficult life due to changing weather, storms, floods, and droughts. But that doesn’t stop them from enjoying the most important festival of the year together with people from all over the country. Similar to the South, Danang, Hoi An, and Hue are celebrating the coming Spring with yellow apricot-blossoms, yet with a more mild temperature. In addition, organized traditional games and performances are held right in the very center of the Central cities, while Hanoi and Saigon usually do not showcase these opportunities. That is why Danang, Hoi An, and Hue are more preferable for travelers looking for a festive cultural experience. 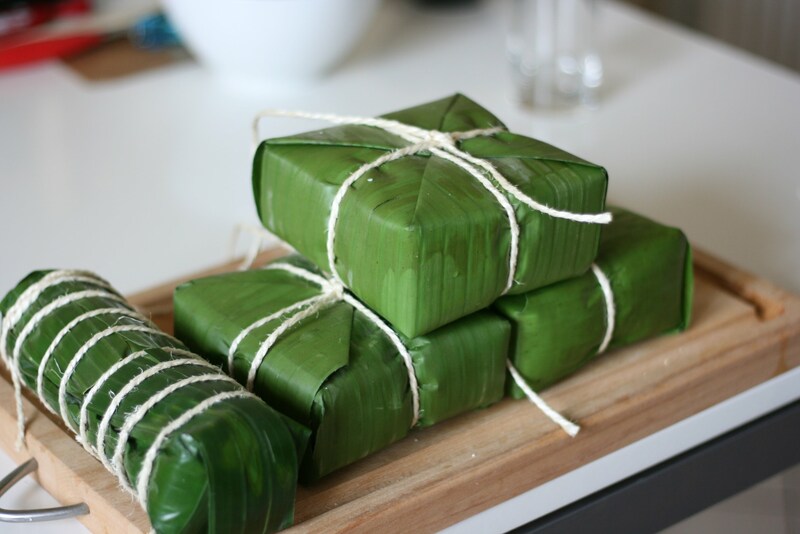 Asians in general and Vietnamese in particular, cannot celebrate the coming Spring without their festive feasts. When you talk about Tet, that means you must discuss the foods, the family preparation, and the cultural spotlights. Same as Christmas week in the West, Tet or Lunar New Year celebration week, is about homecoming, weeding away the bad luck of the last year, and welcoming fortune, wealth, and happiness for the coming year. This is when all the Vietnamese all around the world return to their motherland. And even if they cannot, they still gather to celebrate a heart-warming Lunar New Year’s Eve, counting down and watching the fireworks together with their faraway families, and sharing the adventures of the last year. I am from Hue, one of the most culturally rich cities in Vietnam. I lived abroad for almost four years, cheering Tet twice in Finland, once with my fellow college mates in 2014, and once in Helsinki, participating in the Year’s End Party with the Hue community of Finland in 2016. Living abroad means I did not have access to all the delicacies and the festive atmosphere that swells as this time of year at home. Yet, I was loaded with tears once I got my hands on Banh Chung, Banh Tet, Banh Hoi (Vietnamese Tet rice cakes), all the traditional Tet meat dishes of the Central region, the apricot-blossoms and especially, the Ao Dai traditional dress, right in Helsinki, the heart of Finland. Tet is truly the most important celebration of all the Vietnamese, and I am proud to say that it is also celebrated across oceans. 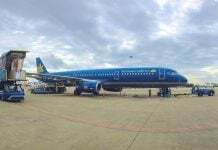 I have been fortunate enough to be back in Vietnam for a while, and I am happy to share with all you travelers, Tet in my Central homelands of Danang, Hoi An, and Hue. Despite the fact that the Central coast of Vietnam is the most strange place to live with long-lasting rain, floods, and a stormy season, Tet is somehow even bigger and more joyful compared to other parts of Vietnam. In the recent years, the booming economic development has also brought wealth to many families of Danang, Hoi An, and Hue, together with globalization. But all the traditions and the cultural practices remain the same. That is one of the many reasons why people come to these cities, for the traditional culture. You can feel Tet in the air just by walking the streets of these cities. In modernized Danang, the streets are filled with festive decorations, such as arches, banners, and lines of apricot-blossom trees. In the ancient cities of Hoi An and Hue, it is not rare to see giant sizzling pots all around, cooking Banh Tet, and the markets are loaded with Tet decorations and ingredients. Tet is not Tet without these decorations and scents in the air, because all of these seemingly little things form a connecting bridge to our ancestors and our traditional cultures. The most significant symbol of Tet in the South and the Central region, is the appearance of the apricot blossom. According to local beliefs, the apricot blossom recalls the image of a Vietnamese girl, charming, loving, and well-mannered. Legends say that she was a hero of the old ages, fought against the invading forces, and sacrificed herself for the greater good. Before her journeys, she had a chance to enjoy the last dinner with her family on the 29th of the last Lunar month of the year, and her mother gifted her a yellow Ao Dai before she went to battle. Only decades later, did the folks recognize her contribution and built a shrine to honor her. In the courtyard grew a tree. Every spring since, especially several days before the Lunar New Year, the tree dumps all of its leaves and green buds appear. Only on the 29th do the buds start blooming with radiant five-petal golden blossoms. Yet the blossoms stay for a short time until the 3rd of the first Lunar month. Coincidentally, the blooming period of this tree also falls on the same dates that the ancestors returned to visit home in Vietnamese spiritual beliefs. Local people also believe that the young girl came back to visit her homeland around this same time, and named the tree “Mai” (the English/Global name is apricot blossom). Time passes, the shrine has since then been lost, but the magical apricot blossom always naturally blooms on the 29th of the first Moon, reminding all of us of the once gentle and dutiful girl. The five golden petals of the apricot blossom symbolize the five virtues of a Vietnamese woman: loving, well-behaved, righteous, wise, and trustful; and the white pistils in the center stand for her pure heart. Moreover, the beauty also lies in the strong and elastic zigzagging branches, which somehow form the word “woman” in Chinese characters. This configuration is seen as the proud spirit, the sturdiness, and the elegance of a Vietnamese woman facing the trials of history. Similar to the North and the South, the Central folks start the Tet preparations on the 20th of the 12th Lunar Month. During this time, the streets of Danang, Hoi An, and Hue start to bustle with crowds of shoppers. Families start to thoroughly clean up their homes and decorate the house with Tet ornaments. Just like Christmas with the Christmas tree in the West, here in Vietnam, almost every family has an apricot blossom tree. Instead of presents, flashing lights, Christmas balls and a star on the top, we decorate our apricot blossom tree with artificial gold ingots and coins, lucky red envelopes, wishing scrolls, and tiny decorative firecrackers. One of the most important things we must do is dust the statues of the Gods and the ancestors’ altar. Most Vietnamese families (up to 80%) are without religion, and they usually worship these six Gods: the trio of Happiness – Prosperity – Longevity, the Land God or the God of Wealth (Ong Dia – Than Tai), the Kitchen God (Ong Tao), and the All-hearing Buddha (Quan The Am). Most of these Gods are derived from Confucianism and Taoism from the North, only the Kitchen God – Ong Tao is Vietnamese. He is believed to be the one who watches the family, and then he reports to the Heaven Emperor at the end of a Lunar year. Therefore, folks hold two offering sessions, the first one on 23rd of the 12th Lunar Month, bidding farewell to Him as He returns to the Heaven, and the second one on Lunar New Year’s Eve to welcome Him back. Also, His journey and offerings are different from the North to the South. On the 23rd of the 12th Lunar Month, people in the North and the South release carp to a nearby river, in order to give Ong Tao a ride back to the Heaven, due to an old legend saying that a carp will become a dragon once released back to nature. In the Central region, especially in Hue, people will not do so, because the dragon is the symbol of the old Emperor. Compared to the North and the South, the farewell ritual in the Center is less complicated. It only includes a few offerings of sticky rice, boiled pork, and fruit. The kitchen, where Ong Tao is worshipped, should be kept clean and quiet. Then, the folks will burn artificial gold, money, jewelry, and other offerings made out of paper, to send to Ong Tao as souvenirs. His old statue will be carried to a shrine, usually at the town hall, and the family will bring back a new one to later welcome him back. On the last day of the Lunar Year, every family gathers and cooks the Year’s End Dinner together. A typical Central people’s feast includes roasted pork, boiled chicken, chicken congee, rice cakes, stir-fried vegetables, and a simple soup, as well as a tray of fresh, perfectly ripe fruit, especially watermelon. This feast then will be offered to their ancestors to have first, together with candles and incense. In local beliefs, the smoke of the incense will carry the offerings to the Heaven, together with the family prayers and stories. After the ritual is finished, family members will happily gather and enjoy the feast. The offering dishes are sophisticated to make and display in the North and South. These delicacies also require well-selected and rare ingredients to cook. In the North, the main star of the offerings is a whole chicken cooked in a special way so its skin turns golden, and it is shaped to look like a phoenix on the plate. In the South, the most necessary dish is pork belly stew with duck egg, with delicate spices. Yet in the Central region, everything is just simply boiled and organized together on a big plate with local Nem Chua (sour sausages). There are more sweet dishes and fruit also because the Central people believe that in the first moments of the year, everything should start light, smooth, and sweet. What to Do During Tet? 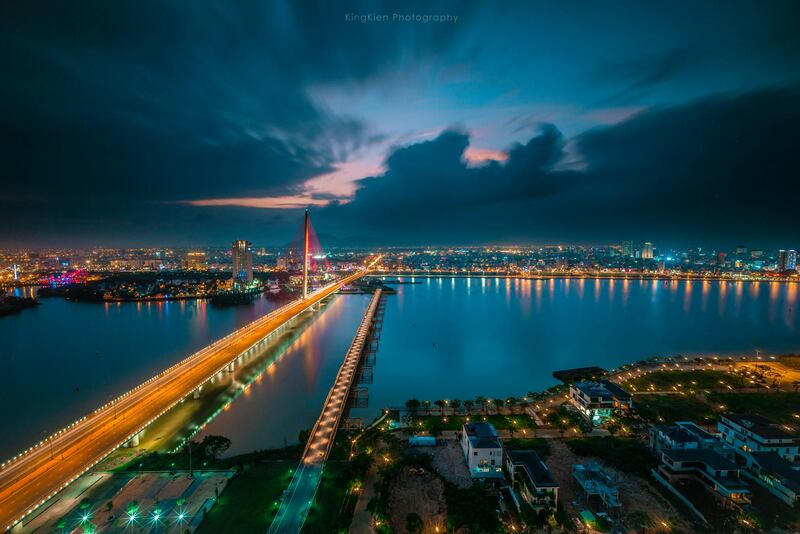 Danang is the largest city in Central Vietnam, and also one of the economic, education, and tourism centers of Vietnam. It also serves as a travel hub and a convenient destination to settle down in your journey. Since it’s a metropolis, activities happen year-round and there aren’t any significant events happening in Danang during Tet, as people are leaving the city to return to their hometown for this family gathering holiday. For the locals, there is less collectivism compared to other cities so they would rather celebrate with their own families than go out in the streets. Things seem to stay normal in the city, with some exceptions of street decorations, exciting carnivals, and festive events in the amusement parks. 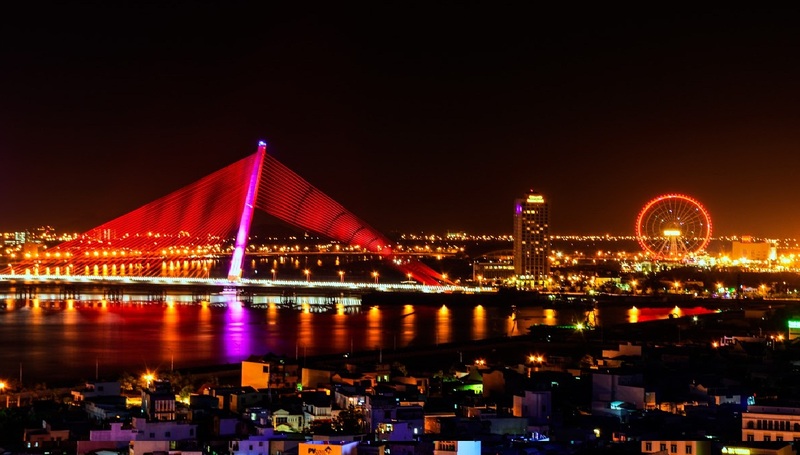 Annually, the night before Ky Hoi Tet, Da Nang will leap with fireworks at three locations: in front of the administrative center of Lien Chieu district, the administrative center of Hoa Vang district, and Nguyen Van Troi bridge. The expected start time is 12 AM on February 5, 2019. Shopping for flowers before the Lunar New Year has always been a long-standing cultural tradition of not only Da Nang locals but also the Vietnamese people. The 29/3 flower market (located at 29 Thang 3 park) is where families come to choose their favorite flower pots to decorate their homes for Tet. Apricot blossom, peach blossom, roses, sunflowers, marigolds, cockscomb, and kumquat trees are among the favorites. Don’t forget to pass by this market to understand how the local people prepare for Tet. During Ky Hoi Tet in 2019, visiting Da Nang Spring Flower Road on Bach Dang Street is one of the favorite activities of the locals. Get ready to participate in a lot of cultural games, from decorating Ky Hoi mascot symbols, Cat & Mouse games, cards, to Mandarin Square Capturing game, and many more. You will have the best time of your life here, I promise. Spring, the season of colorful flowers, is always a special time to mark a new year. This year, Sun World Danang Wonders Park will welcome Ky Hoi Tet with a unique Spring Flower Festival called Golden Pig Knock. It will officially open on February 5th, 2019, and from there, you will have the opportunity to participate in Vietnamese folk games. So, remember to put this place on your checklist! Note: The first day of Tet is February 5th in the year of 2019. Tet Eve is on the 4th, the second day of Tet is the 6th, and so on. Hoi An is a get-away ancient city that is just 40 minutes away from Danang with rich historical background. This surely gives Hoi An a unique Tet atmosphere also. This traditional town allows you to see a lot of action in the streets. You can have a look at this introductory video to have an idea of a typical day hanging out, and during Tet it is three times more the fun! 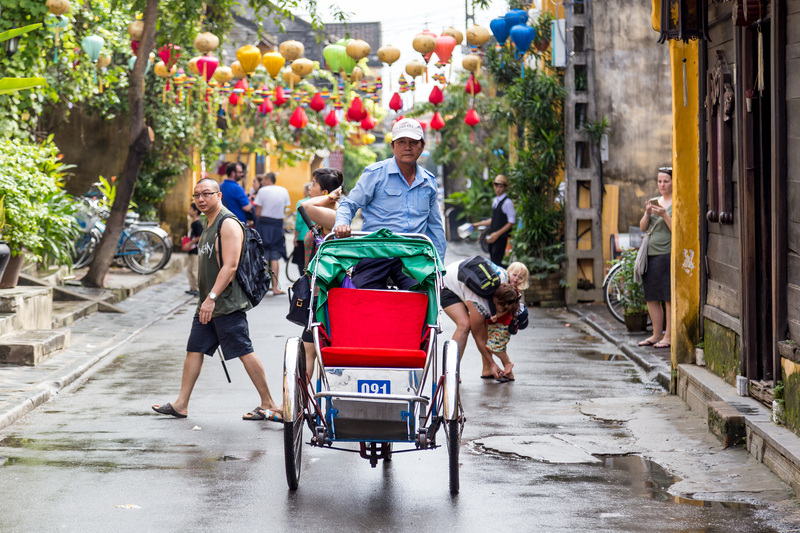 But first, you should check how to get to Hoi An and how to enjoy a day in Hoi An. There will be a lot of Tet traditional practices from the 15th to 18th of February. These include a grand offering ritual to the Gods in the village hall, together with many traditional games and competitions with lion dances and traditional music performances. There will even be a boat-racing competition in the river of Tra Que. The streets are lively decorated with colorful lanterns and lines of apricot blossom trees. In the Lunar New Year’s Eve on February 15th, there will be a lantern festival on the Hoai River, in which the local people send their love and wish to their ancestors. During the Tet holidays, the pagodas and temples will also hold rituals that grant blessings and good fortune to the local people and those who partake. Hoi An fireworks, occurring in An Hoi statue garden, will begin at 12 AM on the first day of Tet, February 5th, 2019. It takes place on Nguyen Phuc Chu street which is just a few steps from Hoi An ancient town. Remember to come here early to get the best seat possible. 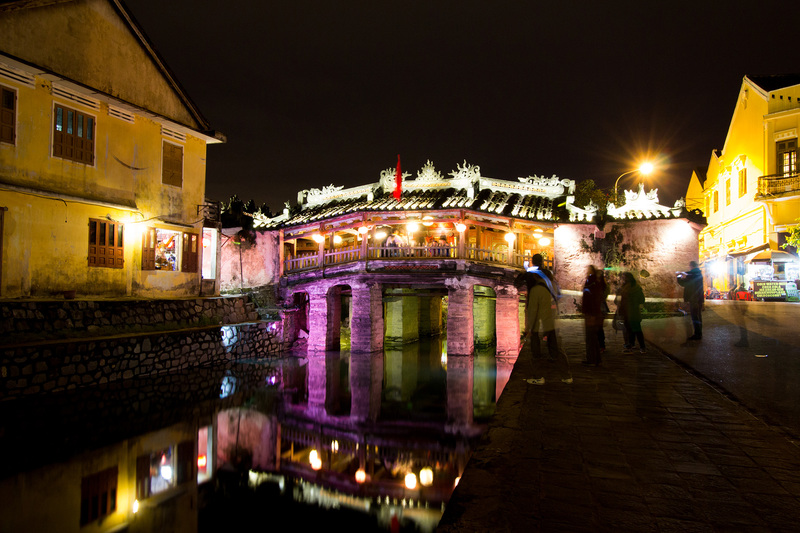 Hue is a romantic imperial city of Vietnam that has a more traditional and slower living pace. When dreaming about Hue, people usually think of a peaceful town that offers only some subtle celebration. 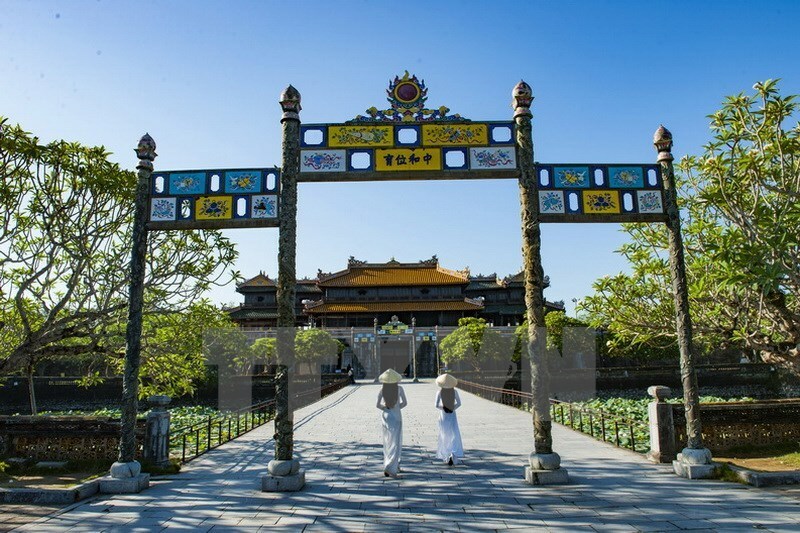 But no, Hue is among the best places to celebrate Tet, with many activities related to the old Imperial Family, such as reenactments, traditional games, dances and performance, all located within the Citadel. One of the most remarkable moments will be watching the fireworks above the city of old. Check this article for the ease of transportation to Hue and start your discovery! In Hue, the closer Tet gets, the more people bustle around the flower market areas on the two sides of the Huong River, Nghinh Luong Dinh Park, and Nguyen Dinh Chieu Walking Street. With the cool weather in February, shopping for flowers will be lovely and artistic at the same time. Before Tet, families in Hue rush to the markets to prepare food and materials for the coming holiday. Therefore, the number of people going shopping for Tet at wholesale markets in the city has doubled and even tripled. Don’t forget to feel the energetic lifestyle at Dong Ba market. Where should you go for the 2019 Tet holiday? A firework show is the perfect way to ring in the new year, especially if you’re in Vietnam. At exactly 12 AM, fireworks will leap into the sky above the Imperial Palace, creating an extremely magnificent scene. Experience the beauty of the Imperial Palace at night, with the sparkle of hundreds of fireworks and happy faces. Banh Chung and Banh Tet. Which is which? Most of the food and drink venues of the backpacker streets of Pham Ngu Lao, Chu Van An, and Vo Thi Sau will open throughout Tet. That is where you can get your most typical Hue foods that are served year-round and basic alcoholic beverages. Unlike other cities, Tet cuisine is the real deal in Hue. You should spend your money and time on a big meal with sophisticated Hue traditional dishes in the famous restaurants and hotels. You can enjoy the true festive cuisines from the villages and have a chance to savor Hue’s Imperial cuisine which is only available during traditional holidays. We’ve gone through all the trouble and mapped out how you can spend your days while visiting Da Nang and Hoi An during Tet. Just follow the itinerary, and you’ll have a great time in the city and experience it like you should. These itineraries have three options of travel styles for each day, and activities will change depending on the type of travel you prefer, whether you’re adventurous or looking for a more laid-back relaxing time. We hope you enjoy our city. Don’t hesitate to contact van.bui@christinas.vn if you wish to edit your own schedule. She will help you personalize it. After Tet, there are also a few festivals that take place on the Central Coast of Vietnam, which are usually dedicated to wishing for more productivity in agriculture and worshipping the traditional handicraft villages’ founders. 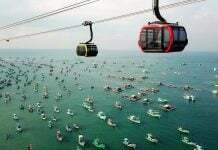 In Danang, the festivals and events are usually held for modernized purposes. There will be Marathon Day, Color Me Run, and Fireworks Festival Annually. The rest are more on-the-fly which are only announced once they are almost ready. You can check this website to keep track of what is going to happen in Danang. 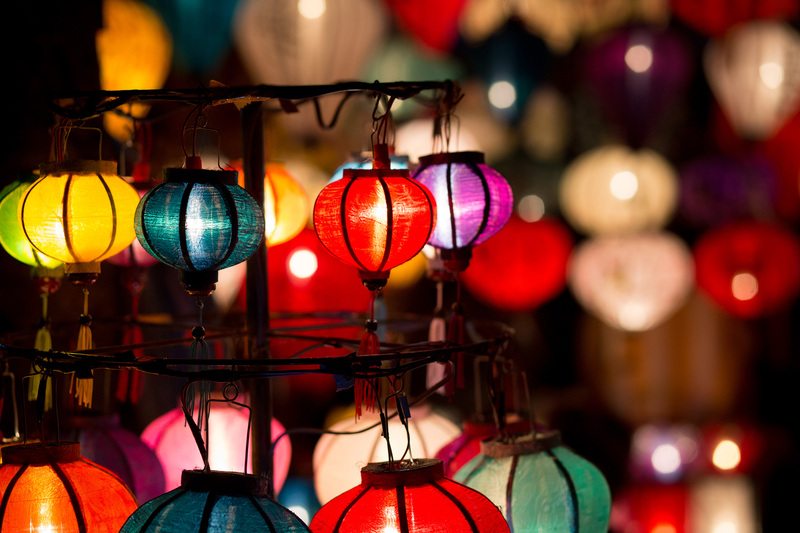 In Hoi An, there are more festivals related to culture exchange due to its historical background. In 2018, there will be photography exhibitions and Japanese Culture Exchange Week. The information will be updated here. 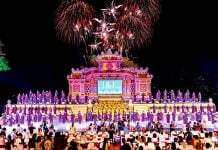 Hue, on the other hand, is well-known for the biggest annual event in the country – Hue Festival 2018. Apart from that, other local festive occasions are usually subtle and limited to the small villages’ scale only, which are unexplanatory and may not be popular for non-villagers. In the end, Danang – Hoi An – Hue is a cluster of destinations that you definitely should visit in order to look for Tet’s cultural references in Vietnam. They are not far away from each other, and the differences are big. For those of you who are into experiencing the diversity of Tet cultures and traditions, book your flight to Danang and get going! We hope you enjoyed this. For more Tet Guides, check out Hanoi, Da Lat, Nha Trang, Saigon.